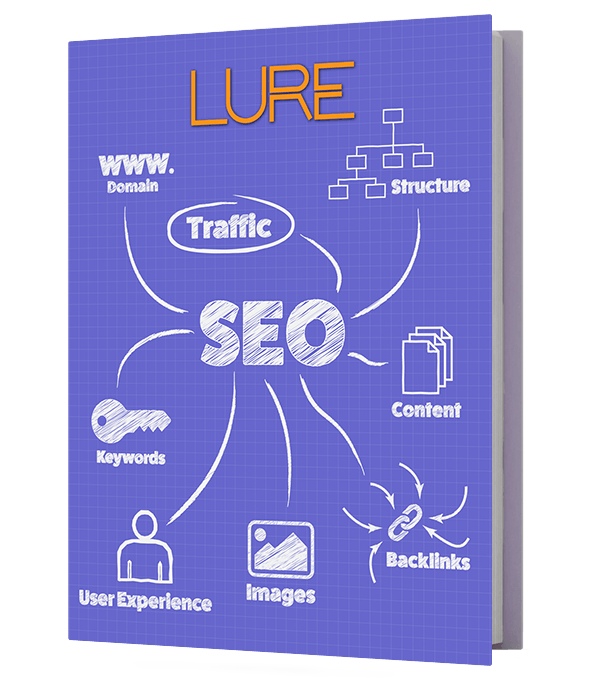 Local SEO is a subset of SEO that focuses on increasing a website’s search engine ranking for so called “local searches”. A local search is one that is geo-targeted, meaning that it includes a location within the search (i.e. “restaurants in Toronto” or “shoe stores near me”). In this article, we will examine why local SEO is so important to small businesses, how it differs from traditional SEO, and finally how you can improve your website’s local SEO. It can be extremely difficult for a small business to rank for high traffic keywords (known as “head terms”). Larger websites with more traffic and a higher domain authority will always have an advantage in these searches. Consumers are increasingly turning to search engines to find local businesses, especially on mobile. 46% of all searches on Google are now local searches. If you’re website isn’t optimized for local SEO, you’re missing out on valuable search traffic. Searches with “local intent” are generally very high quality searches that lead to sales. People looking for products and services near them are much farther down the sales funnel than those simply looking for information. How Is Local SEO Different From Traditional SEO? The biggest visible difference between a local results page and a standard results page is the “local pack”. The local pack is a block at the top of the results page that lists the top 3 results for that search on a map. This block also shows the NAP (name, address, phone number) of those 3 business. The local pack is so coveted because it displays at or near the top of the search results page. This gives businesses in the local pack a significant advantage over their competition. A website can also show in the local pack even if their website is not one of the top 3 organic listings. This makes the local pack even more important for businesses that don’t already rank well organically. The local pack allows local businesses to compete with national chains like Mandarin. Unlike traditional SEO, online reviews are a major ranking factor in local SEO searches. Search engines want to show the best, most relevant listings to the people using their service. What better way for search engines to tell which websites are best than by looking at how real world people have rated them? Another big difference between traditional SEO and local SEO is the importance of backlinks. Although not as big of a factor as they once were, backlinks are still a major ranking factor for traditional SEO searches. 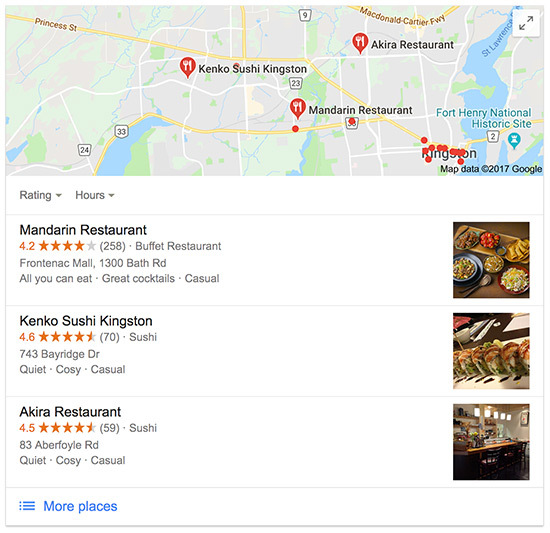 For searches with local intent however, search engines place a much bigger emphasis on local listings rather than backlinks. The more listings a business has, the more confident search engines are that the business is still open, and that the NAP information listed is accurate. The more of these listings you have, therefore, the better for your ranking in local searches. Google My Business is a free business directory provided by Google. Of all the online directories, Google My Business is by far the most important for local SEO. There are a few reasons for this. Adding your NAP information to Google My Business allows your business to show up in Google Maps. Not only does this make it easier for your customers to find your business, it is also a pre-requisite for showing up in the local pack. If a consumer types in the name of your business, your Google My Business listing will appear alongside the organic search results, making sure that your business information stands out. After your listing is activated, Google allows consumers to easily review your business directly from your listing. Your Google My Business listing will appear alongside organic listings for branded searches. After setting up your Google listing, it’s now time to set up as many other business directory listings as you can. Ensure that you fully fill out each listing. Most importantly, ensure that your business name, address and phone number match in every place your business is listed online. Discrepancies in this information can harm your ranking in local searches. Note: Contrary to what some might say, slight variations in your address (“street” vs “st.” or “unit #5” vs “suite #5) will not affect your local SEO. Search engines are smart enough to know that “150 Main Street South” is the same address as “150 Main St S”. The highly the business is rated. The overall number of reviews. The more reviews you have, and the better those reviews are, the better your local SEO will be. 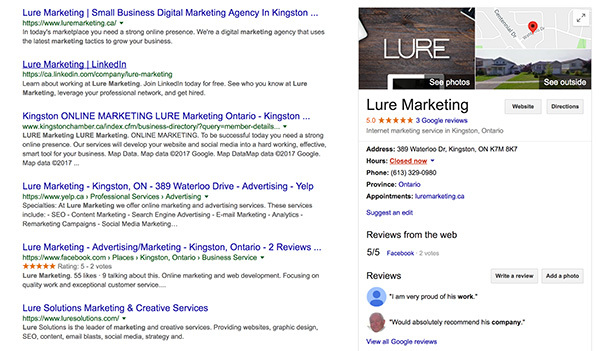 To improve your local SEO, get as many (positive) reviews as you can. 10 4-star reviews are better than 2 5-star reviews but 2 5-star reviews are way better than 10 1-star reviews! When optimizing your website for local SEO, it is important to include some local indicators (your address, city, phone number etc). Try to include local indicators throughout your site but ensure that it is done in a natural way. “Over optimizing” your content can make it hard to read and ruin the consumer experience. Search engines have picked up on this and have begun to lower the SEO of over optimized websites. Contact page. The most obvious candidate. Make sure that you include your NAP information on your contact page. About page. About pages are a great place to talk about your business, how it got started and who make it work. This provides a great opportunity to work in your city name. Testimonials. When adding testimonials to your site, include the city where the customer lives. Footer. If your business only has one location, list your contact information in the footer of the website. Doing this ensures that your NAP information is integrated naturally in every page of your website. What if you have multiple locations? Get your blueprint to increasing your small business’ online exposure. Start increasing your website traffic today using methods specifically designed to work for small business. If your business has more than one location, local SEO can be tricky. Including the NAP information of one location can help that location rank better in local searches, but doesn’t help any of your other locations. 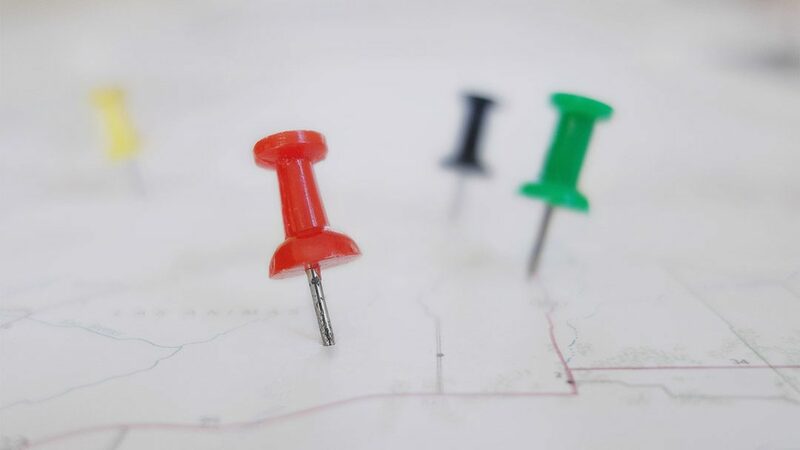 Trying to include multiple locations on the same page can will get each location noticed by search engines, but the lack of focus this brings won’t help their search ranking. So what’s the solution? The best way to get different locations to all rank well is by creating a separate landing page for each location. This allows you to optimize an entire page to each location, rather than trying to fit multiple locations in one page. The NAP information for that location. Directions for how to get to the location. A brief overview of the location, including location information where possible. Things you could mention here include when the location opened, its service area, unique services they provide etc. A quick bio for key staff (how long they’ve been with the company, what their specialties are, where they’re from etc). When done correctly, a location landing page not only helps your local SEO; it also makes your consumers want to do business with you. While in some ways local SEO is very similar to traditional SEO, at the end of the day it is very different. While certain factors like loading speed and mobile friendliness help both traditional and local SEO, other factors such as reviews and backlinks affect each very differently. With 78% of local searches leading to an offline sale, if you’re a local business local SEO should be your top marketing priority.